I always loved writing short stories at school but it was many years before I attempted to write a full length novel. The seeds must have been germinating in my mind though as I woke up in the middle of the night about ten years ago with a working title and opening scene of a violent murder and that story became my debut novel, Robbing the Dead. I had never even read a crime novel until I picked up Peter Robinson’s In a Dry Season, about thirteen years ago. I loved the blurb on the back of the book and the fact it was set in two timeframes, present day and Second World War. As soon as I started reading it I was knocked out, not just by the characterisation, but by the strong sense of place Robinson manages to convey in his portrayal of Yorkshire. I knew then that I wanted to write a novel with a strong sense of place. And I knew it would have to be set in Scotland. I have to admit to being a massive Enid Blyton fan when I was a child. The Secret Seven books were the first series I ever read and I guess the author got me wanting to write a series of my own! Peter Robinson was my biggest influence. I was thrilled when I found out he was giving a summer writing course in Estonia a few years ago. I booked myself on it and flew out. That was quite an adventure. I love Henning Mankell for his characterisation and social commentary. I’m also a big fan of Peter May and Ann Cleeves. I was incredibly lucky. I waited until I had three completed novels before I started trying to find a publisher. I got picked up by Bloodhound Books who offered me a three book publishing contract last October within eight months of looking for a publisher. I like both my leads, DCI Jim Carruthers and DS Andrea Fletcher. I only noticed when I finished writing Robbing the Dead, that Carruthers is more like me in personality and Fletcher has more of my life experiences. I’ve done a lot of research for all of my novels. Robbing the Dead is based on a true event that occurred in the early 1970s. I like to find interesting details about events which humanise them and which we can all relate to. 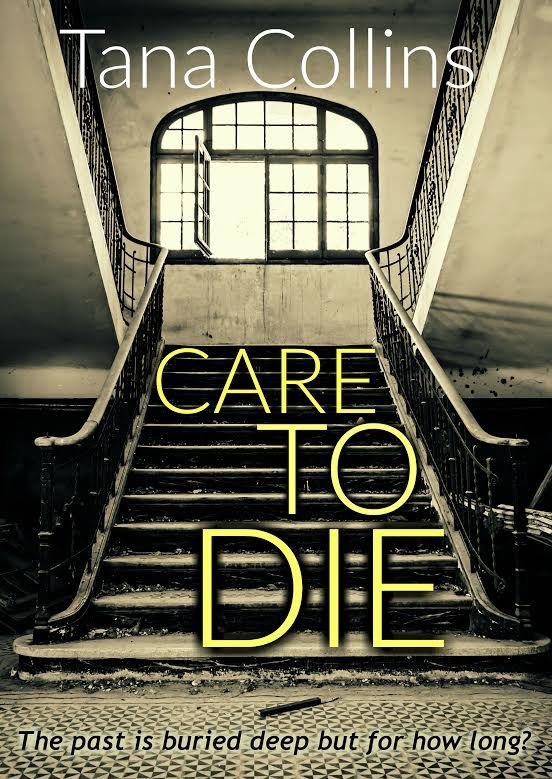 The second novel, Care to Die, was also inspired by events back in the 1970s and how these events have impacted on people’s lives over forty years later. In some ways it’s an even darker read than Robbing the Dead. For the third novel, Mark of the Devil, which is definitely not about the 1970s, I had to do a lot of research on international art crime which was fascinating. I think as a writer most of our main characters are based on people we know to some extent but they are usually made up of several different people. A couple of my characters are based on people I used to work with twenty years ago when I first moved to Edinburgh but I had better say no more than that! 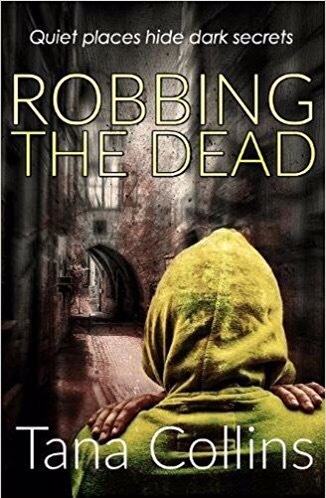 I’ve had some amazing reviews on Amazon and Goodreads for Robbing the Dead which have thrilled me! It’s hard to believe that in the first fortnight of publication the novel sold nearly 1,000 copies. Readers seem to like the fast pace of my novels (no slow burners for me!) the flawed but likeable characters and the fact I try to make my storylines interesting and original. In terms of personality I’m probably more like Jim Carruthers than anyone else. We both tend to brood and both like our ‘alone’ time. And we both love the environment. A little known fact about Jim is that he is a member of the RSPB but he won’t admit that to his colleagues. He’s also got his flaws. He’ll cut corners when he thinks he can get away with it, has difficulty with authority figures and can be hot headed but basically he’s a decent guy doing a difficult job. Care to Die is being published on 1st June 2017 so I’m really excited about that. It has the same set of characters as are in the first novel but their personal lives have moved on. Like the first book it is set in present day Fife but our Inspector Carruthers has to fly to Iceland in this story. The novel has lots of twists and turns so will keep our investigative team busy. I’m not sure I have a favourite scene although I do like the early scene where we first meet Inspector Carruthers and see him leaving his Anstruther cottage to go to the locus where the body of the young man has been found. I enjoy weaving in some local colour and history of the place I’m writing about and Fife is full of both! Don’t give up! I can’t tell you how close Robbing the Dead came to being ditched. And the truth of it is that early on it just wasn’t good enough to be published. It had two massive rewrites and I’m delighted I persevered. Read everything you can get your hands on in your genre. Hang out with other crime writers. They are incredibly supportive of new writers. Last bit of advice would be get yourself a good editor before approaching publishers. But what does the disappearance of a twelve year old boy forty years before, the brutal murder of a former journalist and a bitter local dispute about a nature reserve, have to do with the investigation? The first two books I wrote, I self-published. At that stage I didn’t try to get an agent or explore the traditional publishing route. I was testing myself to see if I enjoyed the process and could start and finish projects. Also, it’s hard to edit and you really have to develop that skill, so it was a great starting point. The books are in the cross-over fantasy genre, and there are still characters in them I think about. 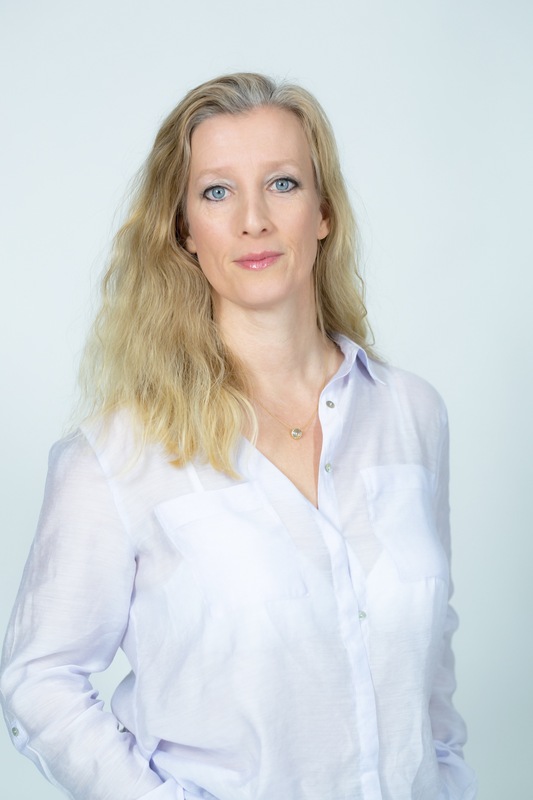 After I got an agent, I changed to writing crime fiction which is where my area of expertise is, given my time working as a criminal barrister. Writing crime was an obvious choice for me, but also the genre I love to read. I like thrillers and enjoy police procedurals, so I combined them in Perfect Remains, where you see both the police, and are able to watch the antagonist on his own, following the plight of the women he has abducted. It seemed like the best of both worlds to be able to follow both strands of the story. As a child my first love was Tolkien. I adored his ability to world build, and to create enduring characters whose lives you really cared about. It wasn’t long until I found the dark side, however, and I read and reread everything by Stephen King, Dean Koontz, James Herbert and any other horror writers I could find. These days I like a good mix of genres, although you can’t beat Christopher Brookmyre for crime as far as I’m concerned. I love Patricia Cornwell for the forensic details, and my most recent discovery was ES Thomson. I do enjoy historical thrillers, which is the other genre I write in these days. I was very lucky finding an agent, but I made sure I did my research and only applied to agents interested in my genre and who were actively looking for new writers to represent. I found my agent through the Winchester Writers’ Conference and can thoroughly recommend such events for networking and getting your name out there. It’s not all plain sailing though. It still took some time to get a publishing deal. There’s no quick fix when it comes to writing. Everything takes ten times longer than you expect. You have to accept that you’re in the business for the long haul and fill those months of no news with words on the page. I think my favourite character from Perfect Remains is DI Ava Turner, mainly because she’s the woman I wish I was. She’s funny, keeps her nerve, is unflappable and hard to impress.And she’s the sort of person I’d want as a friend. I think if you can write those people into your work, you add a natural warmth to the narrative. I dislike reading novels where I can’t find any characters I genuinely like because it means I end up not investing in the story fully. The research for Perfect Remains was in two parts. The first was proper locations scouting – I don’t write about places I haven’t personally visited if I can possibly avoid it, down to every bar, street and park. That was blissful of course, because I had excuses to spend plenty of time in Scotland. The second part was the forensics. Whilst I dealt with a lot of forensic evidence as a criminal lawyer, the scenarios in my novel are very specific and required careful reading (particularly the teeth). I don’t recommend anyone to type in “amateur dentistry” to a search engine though. I had nightmares. I hope that Perfect Remains stands out in the crime genre by virtue of opening the door to see inside the head of a psychopath. I like to be scared, and I like crossing the threshold of normality. 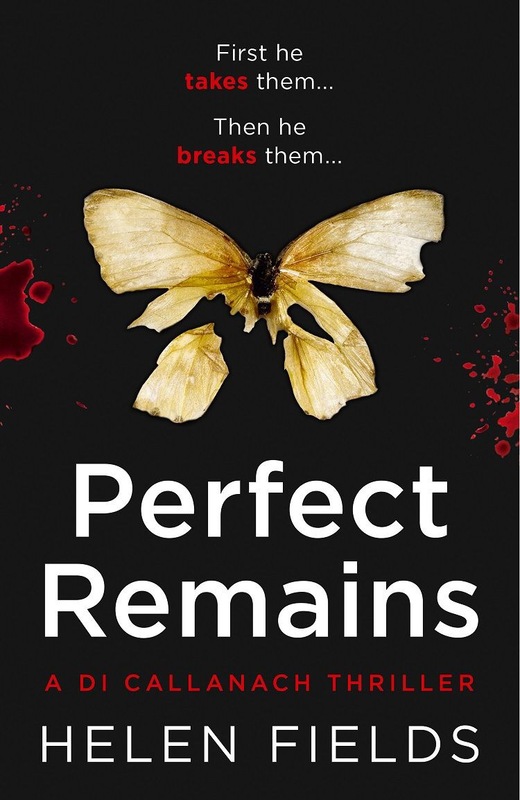 Some readers have said that Perfect Remains is too much for them, and I sympathise, but that’s really the point. I wanted to explore the deaths of a twisted human psyche and to follow their train of thought. What’s more scary than that? I don’t really see myself reflected in any of my characters. For me, writing is escapism, so as far as possible I’m trying to create a life well beyond my own experiences and personality. Books two and three in the DI Callanach series are already written. 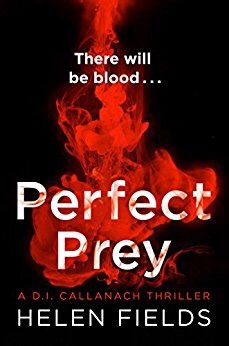 Perfect Prey comes out on 27 July this year and I’m really excited about it! Two killers this time, and I wouldn’t want to bump into either of them on a dark night. Ava is going through some tough stuff in her personal life, and it leads her to make some bad choices. Callanach makes a couple of new (if unlikely) friends and is forced to operate under the radar to solve a case. I absolutely loved writing it. But again, I’m afraid, this one’s not for the faint-hearted. I think my favourite scene in Perfect Remains is when Ava gets into a fight in the pub, and handles it with her usual cool head. I took up marital arts a couple of years ago as a way to get actively involved in an activity with my kids, so it was fun to put that knowledge to some use. Also, I love the idea that Luc is sufficiently sure of Ava’s ability to handle herself that he didn’t feel the need to intervene. The feminist in me enjoyed writing it. What would I say to any up and coming writers? It’s all possible. Yes, you need discipline, dedication, and the time and space to write. Also, you need a clear head for editing. But actually there’s no magic to what writers do. You build one sentence after another. Write not what you know, but what you love. Write the book you’d like to read. Write what moves and excites you. If I hurt or kill a character I care about, I’ll do so with tears streaming down my face. If you can’t move yourself, you can’t move anyone else. Create stories that stick in your head long after you’ve turned off the light. Oh, and editing – it can’t be rushed. Never send out a work you haven’t polished. On a remote Highland mountain, the body of Elaine Buxton is burning. All that will be left to identify the respected lawyer are her teeth and a fragment of clothing. In the concealed back room of a house in Edinburgh, the real Elaine Buxton screams into the darkness…Detective Inspector Luc Callanach has barely set foot in his new office when Elaine’s missing persons case is escalated to a murder investigation. Having left behind a promising career at Interpol, he’s eager to prove himself to his new team. 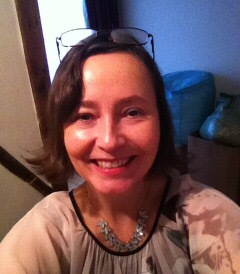 But Edinburgh, he discovers, is a long way from Lyon, and Elaine’s killer has covered his tracks with meticulous care. It’s not long before another successful woman is abducted from her doorstep, and Callanach finds himself in a race against the clock. Or so he believes …The real fate of the women will prove more twisted than he could have ever imagined.